1963: 1963 Corvette production numbers, specifications and more. 1964: 1964 Corvette production numbers, specifications and more. 1965: 1965 Corvette production numbers, specifications and more. 1966: 1966 Corvette production numbers, specifications and more. 1967: 1967 Corvette production numbers, specifications and more. Body Build Date Codes: Body build date codes for the 1963 - 1967 Corvettes. 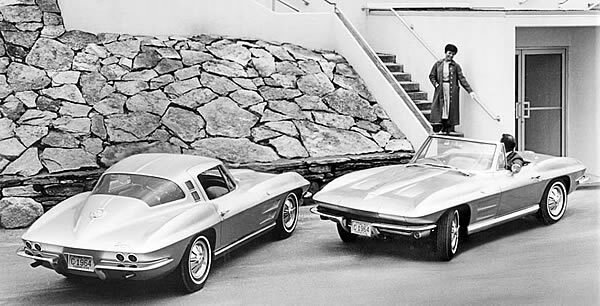 Gallery: An online gallery of high quality 1963 - 1967 Corvette pictures. Identification / Serial Numbers: A quick summary of 1963 - 1967 Corvette serial and production numbers. Knowledgebase: GM Techlink articles, service bulletins and information, and more on the 1963 - 1967 Corvette. L88 Corvette Center: Specifications and performance reviews for the 1967, 1968 and 1969 L88 Corvettes. Production: This graph depicts Corvette production of the second generation from 1963 to 1967. Specifications: Radiators: A quick summary of Corvette radiator specifications from 1963 to 1967. Specifications and Identification: Wheels: This chart shows the wheel size, dimensions, construction, offset and code for 1955 - 1975 Corvette wheels. 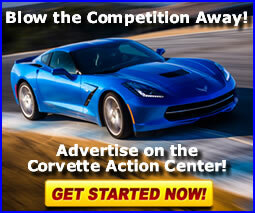 Videos - C2 Corvettes: C2 Corvette videos provided by our sister site - VetteTube.com.